Santana, on the Northern Coast of Madeira, is located in a rugged mountainous area. Six parishes, located in river-valleys make up the municipality: Arco de São Jorge, Faial, Ilha, Santana, São Jorge, and São Roque do Faial. The Santana parish has the largest number residents, while Arco de São Jorge is both the smallest and has the lowest number of residents. Santana’s climate is similar to the climate of the heights around Funchal like Monte, Santo Antonio or Sao Goncalo. Santana offers somewhat cooler temperatures than the rest of the island in the Summer. Santana owes it name to a chapel in honor of Santa Ana. The village was founded around the year 1550 by migrants from Braga , of the north of mainland Portugal. Hence the nickname of the locals being the “Bragados”. During early colonization, the land was divided between nobles and aristocracy. Land was cleared and houses were built for people and livestock. Finally, in 1835, Santana became the seat of the county. The village of Santana is not by itself a popular destination. However some of the most known and spectacular landmarks of Madeira are part of the county of Santana. These include the Pico Ruivo, Queimadas, the Rocha do Navio, and the beautiful viewpoint of Balcoes. The pictures below speak for themselves. 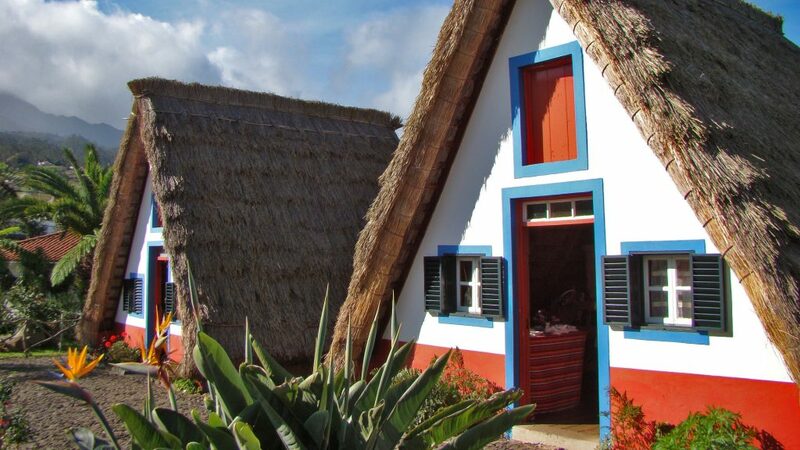 Interestingly, traditional houses with triangular thatched rooftops are the best attraction of the village of Santana. Hence. the rural homes, used by local farmers during the settlement of the island typically have with white-painted walls, red doors and windows with blue trim. Tourists can appreciate and visit the few and well maintained surviving buildings. Quinta da Furao is a reknowned hotel with an exceptional location, and a reputed cuisine. Hence, a stop at the Quinta for lunch or dinner is great. 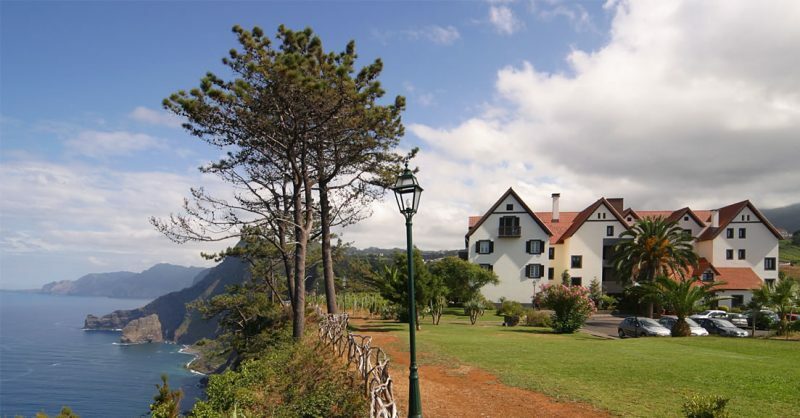 Furthermore, we have it listed in our top 10 of most romantic hotels on Madeira. The Quinta sits in a large property. The land boosts organic vines, vegetables and herbs. Throughout the gardens, you will see plants you can find in typical Madeira gardens, including endemic plants of island.